Mary Morahan has a unique, demonstrated approach to improving performance and turning a workforce into competent, business-oriented employees. As a result, her clients have improved their bottom line through reduced training costs, a more efficient and dedicated workforce and clearly focused management. Mary has developed industry-recognized techniques for assessing performance and delivering the tools necessary to grow employees’ abilities to higher standards than that achieved through traditional training. Her methods are focused on the needs of the business, the capabilities of the workforce and exceeding management’s goals for operational excellence. Her domestic and global business experience includes developing, implementing and overseeing management systems for the world’s largest construction project (Karachaganak Petroleum Operating by,) and managing the performance improvement process for Texaco Worldwide Exploration and Production. 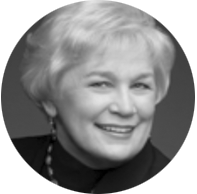 Mary’s business clients include industry leaders in the USA and across every continent. Mary has over thirty years of experience.